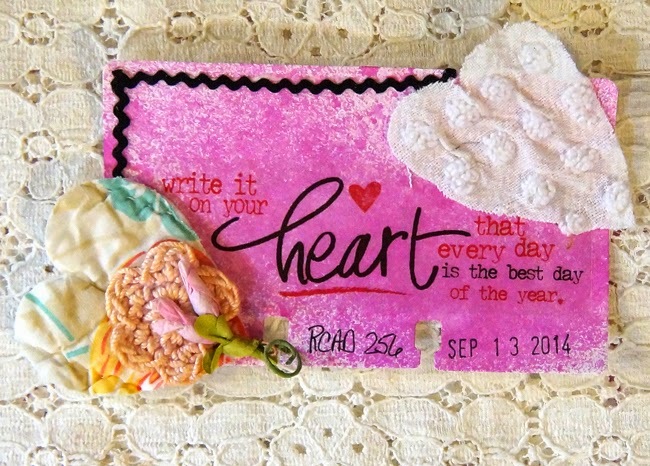 RCAD 256 was made using some pretty hearts cut for a quilt and a some shaneel fabric. They came from Iris Shubert as a thank you for hosting the Artsy Fartsy Ticket Swap that I host at Your Paper Pantry. Thank you Iris. The quote says. "Write it on your heart that every day is the best day of the year." The quote and rick rack are from my stash.